Christmas Shopping in Mumbai – Where to Go? Mumbai is the Maximum City and India is the land of festivities. Together, it offers an overdose of festivities and celebrations that never ends. Diwali is certainly the grandest festival of India and people love to do Diwali shopping in Mumbai. However, once the dust settles and the Diwali celebrations are over. People take a break for few weeks before they begin to gear up for the Christmas celebrations. The month of December is all about Christmas shopping in Mumbai and you’ll find many stalls and shops ready to help you out. Christmas celebration would be incomplete without a Christmas tree and a star. Hence, it is important that you look for places where you can get some great deals. 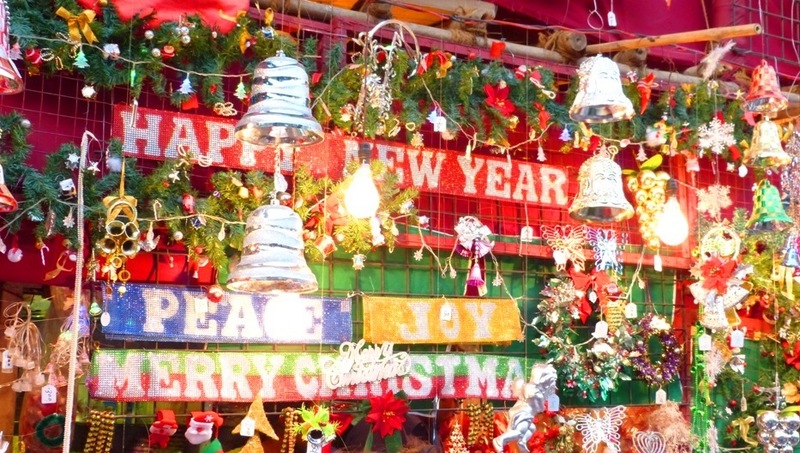 Here are some of the places in Mumbai to shop for Christmas. Where to Buy Christmas Cakes, Candles and Greeting Cards in Mumbai? Christmas is just around the corner and as time slips out of hand panic trickles into our mind. Many people in Mumbai live a hectic life that is hard to describe in words and I certainly know that after all I have been a Mumbaikar all my life commuting up and down the local trains five days a week and getting into that super dense crush load local trains that push you to the limits of madness and havoc. If you are still not ready with your Christmas decorations, Christmas tree and other important things that you need to prepare for the festival you need not panic because you can still make up and get all the information right here simplified and to the point. I have already covered the decorations part in my earlier blog that also talks about Christmas tree and other decorative items that you need during the festival. So, if you are looking for Christmas tree shops in Mumbai or Christmas decorations in Mumbai you can click here.